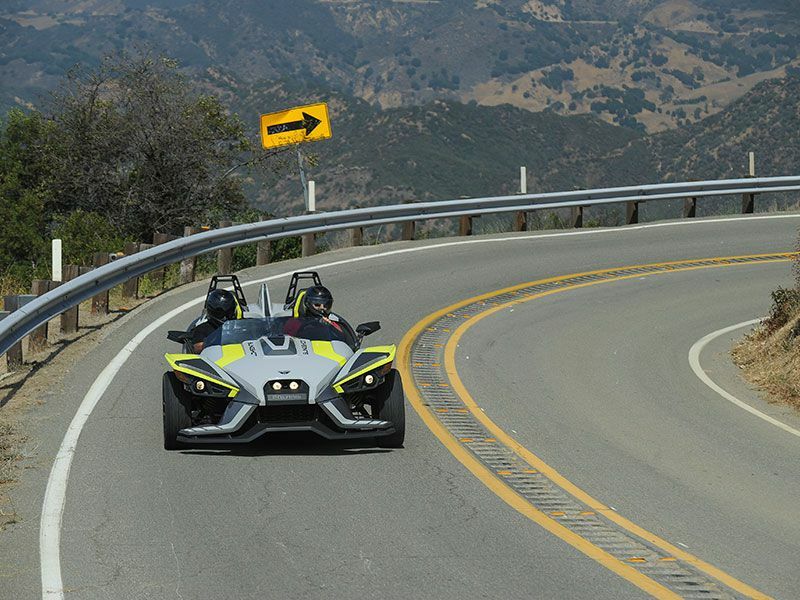 When the opportunity arose to ride, er — drive, a Slingshot through the Santa Monica Mountains, I hopped on the chance. Then I thought to myself, do I need a special license to operate this vehicle? After checking Polaris.com, I was relieved that my state of California does not require a motorcycle endorsement on my license, but drivers are required to know how to operate a manual transmission. It only took three minutes after rolling out from the Venice Beach Boardwalk to hear a voice coming from the adjacent chopped-top Ford van full of tourists. “Wow, that’s cool! What is that thing? Is it fast? Is it fun?” I hardly had enough time to answer the questions before the light turned green. 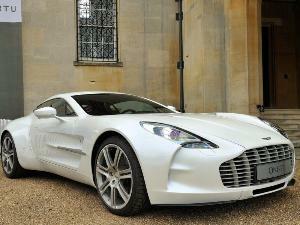 You certainly can't expect to go under the radar while driving this thing around. 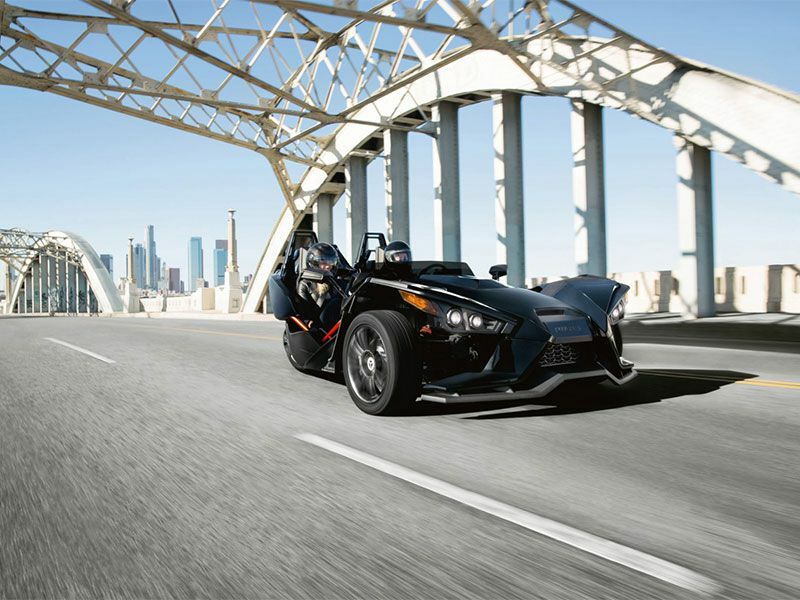 It is no secret that the Slingshot is an open-air cockpit roadster. While there is an optional roof called the Slingshade, this machine is honed in on taking advantage of the natural light and breezes. The interior is weatherproof and the buttons on the center stack have a rubbery feel. The open-air experience does come with its downsides. Besides having to drive in rain or snow, there are no vents to push air, so it can get hot. Compounded with wearing a helmet, it can get downright swampy. As long as you can keep it moving, you can reap the benefit of the breeze. Once you get past the labels, you can get to the heart of the matter. The benefit of having two wheels up front will guarantee you that the one rear wheel will follow wherever you point them in most situations. When tracking around a long curve, the electronic power steering will require slight corrections to keep you on your intended path. Not to worry, having twice as many wheels and tires up front is forgiving and could very well save you from some tricky situations. Driving the new 2018 SLR LE with the larger rear tire and wheel package, I found that there was always more grip available. This rear-wheel drive, correction, one-rear-wheel drive (1RWD) vehicle has one really big and wide (305mm) rear tire. While it will feel surefooted around the majority of cornering situations, minor potholes or rocks will offset your rear-end a bit. 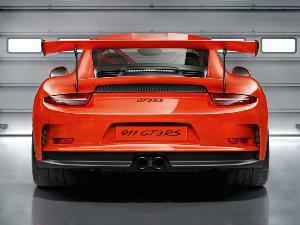 Not a problem, having two wheels up front shines as the rear will abide by the fronts without further hesitation. 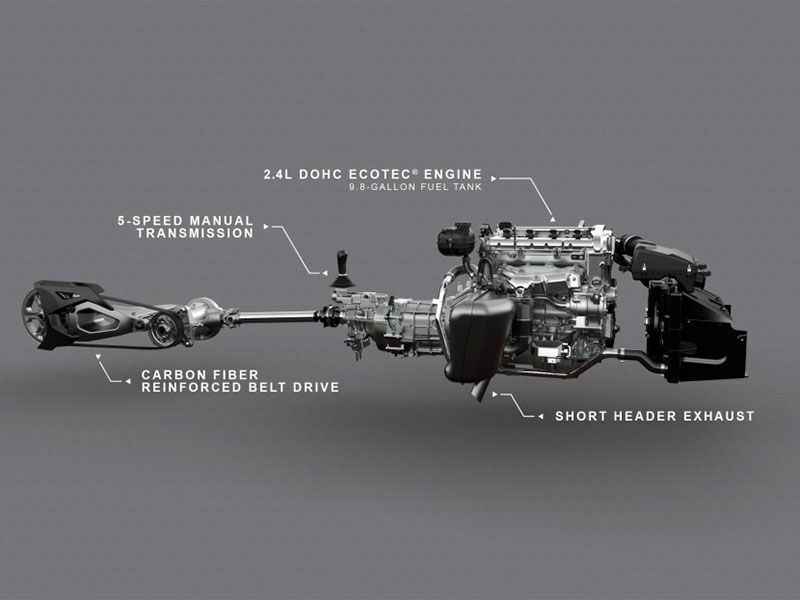 You might have heard a rumor and it is true, the engine is a General Motors EcoTec 2.4L 4 cylinder. 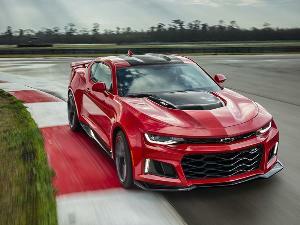 This engine is good for 173 hp and 166 lb-ft with a healthy redline of 7200 rpm. It was featured in the Saturn Sky and Pontiac Solstice. 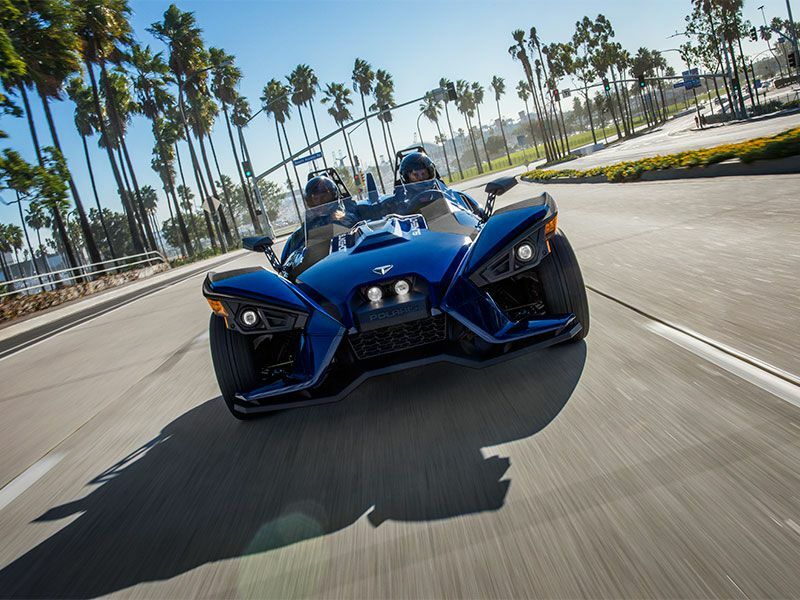 The Slingshot advantage is found in its 1,750-pound curb weight, translating to a horsepower-to-weight ratio comparable to a Chevrolet SS for a benchmark. For those of you that require “Ludicrous” mode, look no further than the General’s parts department because variations of this engine have been turbocharged from the factory. Additionally, there are plenty of aftermarket solutions for this modification. Rest assured, unless you are some sort of speed demon extraordinaire, the normally aspirated version should be more than ample. Admittedly, I can attest to this vehicle being fun-to-drive even when cruising along at 35 mph. Heck, this vehicle is truly fun, even as a co-pilot with no access to the pedals and steering wheel. This manual transmission is easy to operate smoothly. The transmission feels just at home simulating an eco-mode shifting at low rpm, as it does when being pushed to shift for peak power. Aggressive 1-to-2 shifts will yield rear wheel slip, but the traction and stability control keep you in check. Many will be relieved to know that a handy center console button partially disables the systems for more freedom. 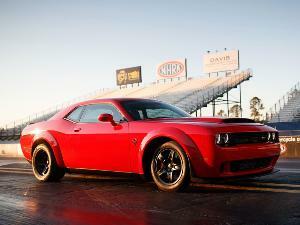 Burn-outs are just shy of Hellcat levels. 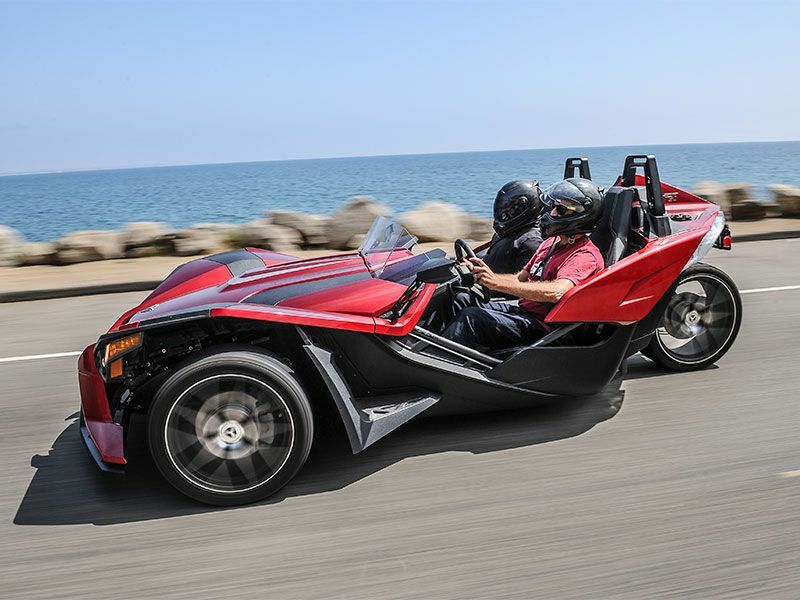 It wasn’t just the sight-seeing tour van driver that inquired about the Slingshot on our ride-and-drive. People of all ages, from car enthusiasts to motorcyclists and even some law enforcement were very interested. After parking in the corner of the garage to avoid attention, I got a text from a friend; “When did you get a Slingshot, those are so cool!” Even when you try to blend in by traveling with the flow of traffic and following all laws to the “T,” you still can’t hide. I even got thumbs-up from a few Police Officers. 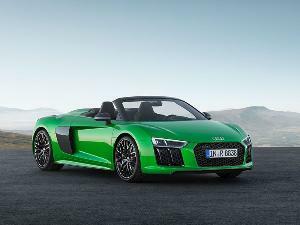 This three-wheeled roadster is available in 4 trim levels S, SL, SLR and SLR LE. Pricing ranges from $19,999 for the base S model to $30,999 for the track-ready SLR LE. 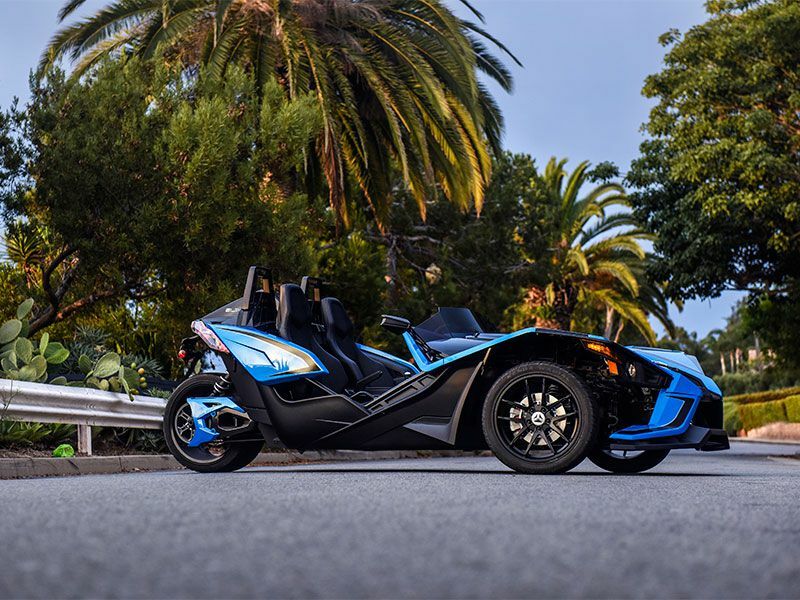 All Slingshots come standard with a waterproof interior, 17” front and 18” rear cast aluminum wheels, sport seats and projector beam headlights with really cool looking LED taillights. Electronic power assisted steering, electronic stability, traction control and ABS disc brakes round out standard safety features. Moving up the trim level ladder will get you a backup camera, wind-deflector, premium paint and hood graphics, two-piece composite brake rotors, upgraded sport seats, a Sparco steering wheel, shift knob and pedal covers, 10-way adjustable BILSTEIN shock and a 200-watt Rockford Fosgate audio system. 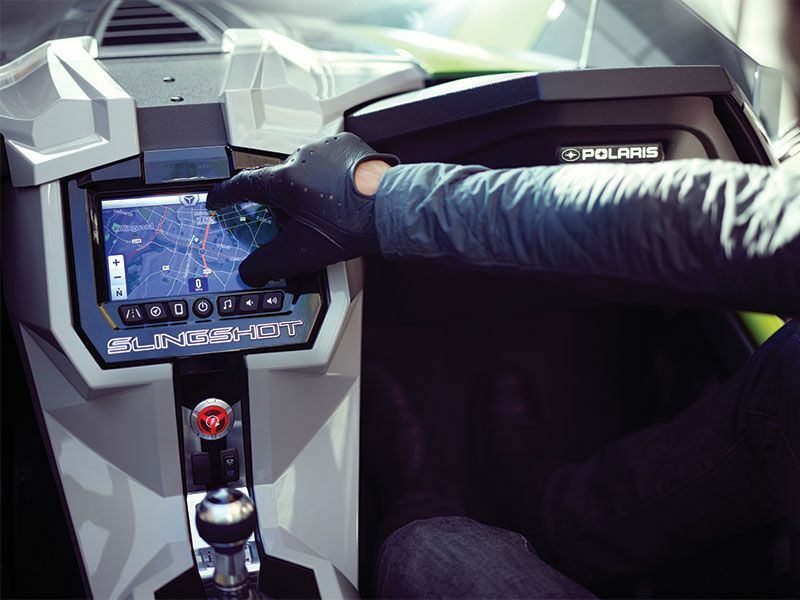 Ride Command, the Slingshot's infotainment system, sports a 7” multi-touch display that works with gloves. The system’s buttons are chunky with a nice rubbery feel. The intuitive navigation system features turn-by-turn directions and points of interest with customizable driver screens. Smartphone integration is available via Bluetooth or USB. Overall, it's a significant improvement over earlier versions of the system. Connecting my smartphone was a breeze, I was streaming my favorite playlist through the Rockford Fosgate audio system in no time. Even while wearing a helmet and traveling at average speeds, you can hear the music. The speakers sound dynamic, which is impressive given it's an open-air vehicle and the components are Marine Grade compliant to be weatherproof. If you desire the unadulterated fun of the Slingshot, but you're not a huge fan of UV rays, the Slingshade has you covered — literally. The shade costs $2,499 to $2,999 (dependent upon your paint finish) and fits both the 2017 and 2018 models. Your location will dictate some aspects of your Slingshot experience. 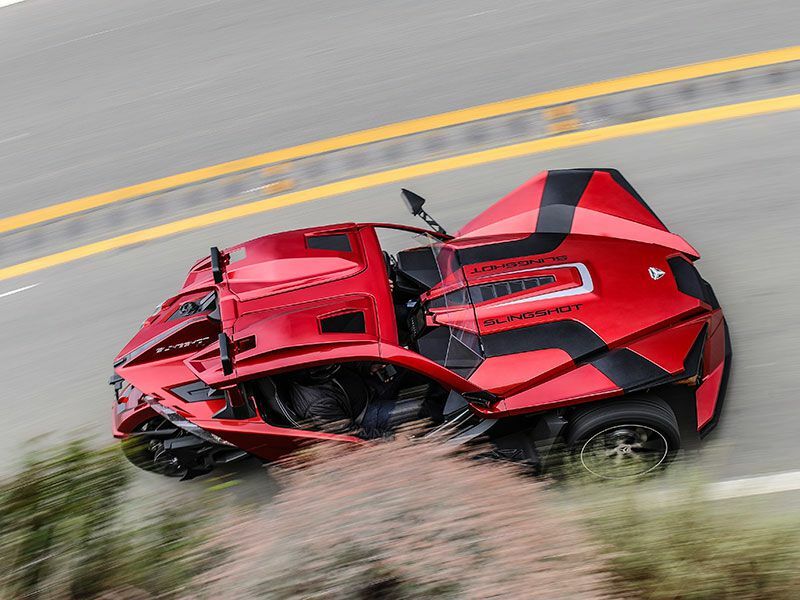 For instance, in my State of California, the Slingshot is classified as an “Autocycle” and does not require a motorcycle endorsement on your license to operate. 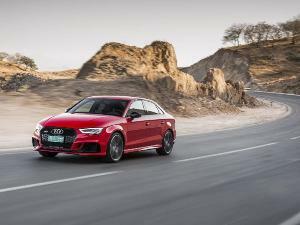 It is good to know that there is a myriad of safety features, including head restraints, seat belts, roll bars, traction, stability control and anti-lock brakes. It might go without saying, but as always, safety first. There is no doubt the Slingshot is a great value when it comes to the fun-to-dollar ratio. 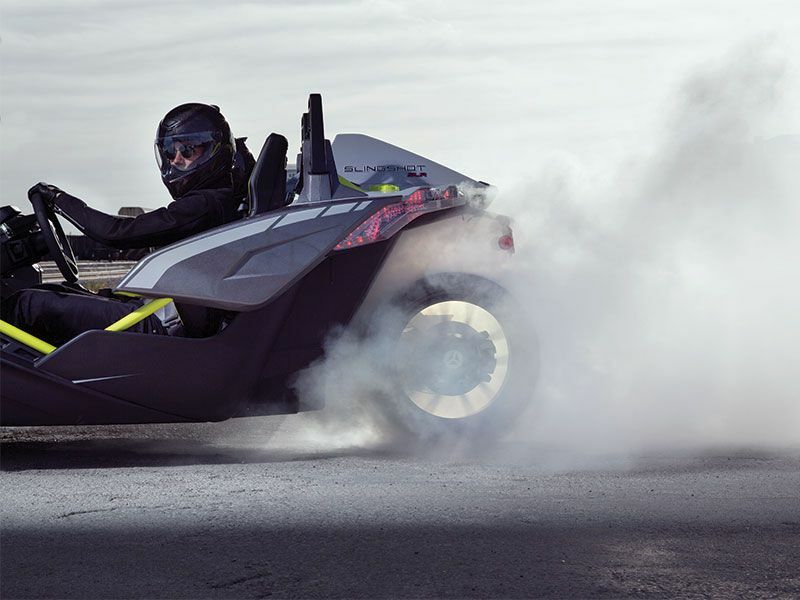 You would have to spend a great deal more on a four-wheeled vehicle to get the type of performance, handling and attention the Slingshot commands. We may never really come to a consensus if this is more of a car than a motorcycle, but I believe that we are missing the point here. 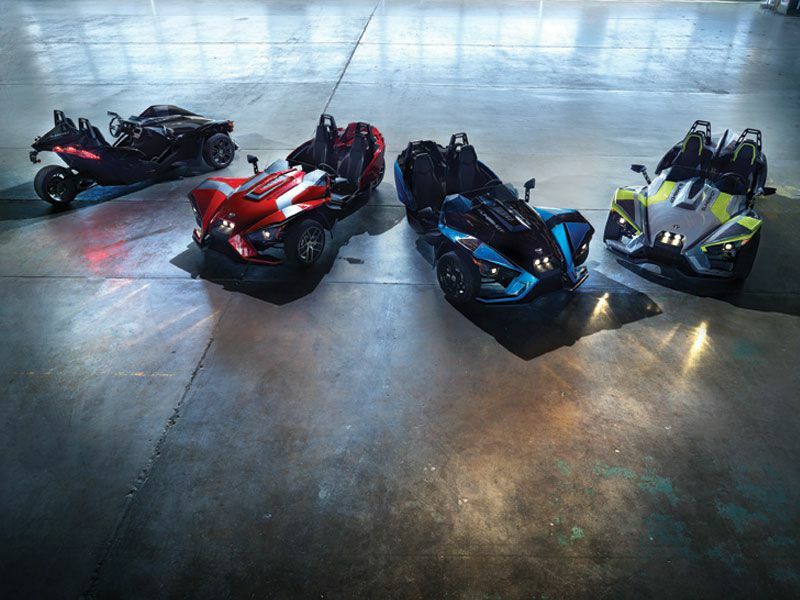 We're willing to place a hefty wager that given the opportunity to drive or ride in a Slingshot, you would agree that it’s the most fun you can have on three wheels.